Canada’s Federal Skilled Worker (FSW) program has historically been the most customary path to Canadian PR (Permanent Residency). The renowned program is re-opened with more occupations and caps in 2014, generating an incredible amount of excitement especially among engineers. Canada Federal Skilled Worker Program 2014 will begin accepting an overall total of 25,000 new applications from 1 May 2014. The applicants with a minimum of one year work experience in one of the 50 eligible occupations are qualified for Canada FSW Program. Engineering is a regulated profession in Canada. To improve your chances of migration to Canada, you have to consider few important things before you start your process of moving to Canada. Improve your language skills in English or French as you are expected to prove your proficiency in either of these languages. Get all your documents related to official education, work and identity ready. Verify the translation requirements as in few cases, you might have to use a professional translational service in Canada. The point grid system considers factors such as education, language ability, work experience, age, and adaptableness to Canada. Must meet minimum English/French language requirements. 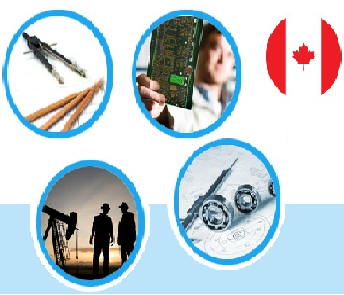 Eligible occupations under Canada FSW Program comprise stream of engineers including Civil engineers; Mechanical engineers; Electrical and electronics engineers; Petroleum engineers; information systems analysts and consultants; Database analysts and data administrators; Software engineers and designers; Computer programmers and interactive media developers. The Canada FSW program will accept a maximum of 1,000 applications per each eligible occupation from 1 May 2104.